Your little one will love this outfit complete with matching doll outfit. 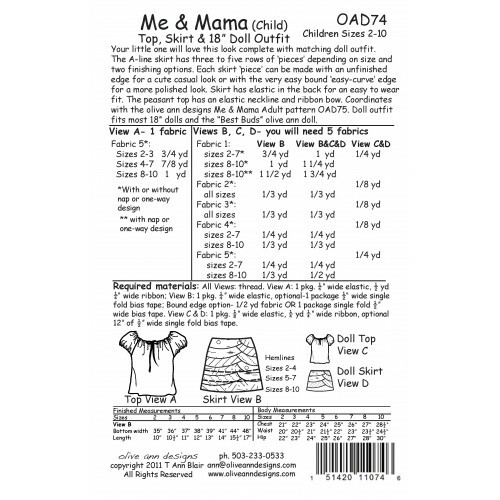 The A-line skirt has three to five rows of ‘pieces’ depending on size and two finishing options. Each skirt ‘piece’ can be made with an unfinished edge for a cute casual look or with the very easy bound ‘easy-curve’ edge for a more polished look. Skirt has elastic in the back for an easy to wear fit. The peasant top has an elastic neckline and ribbon bow. 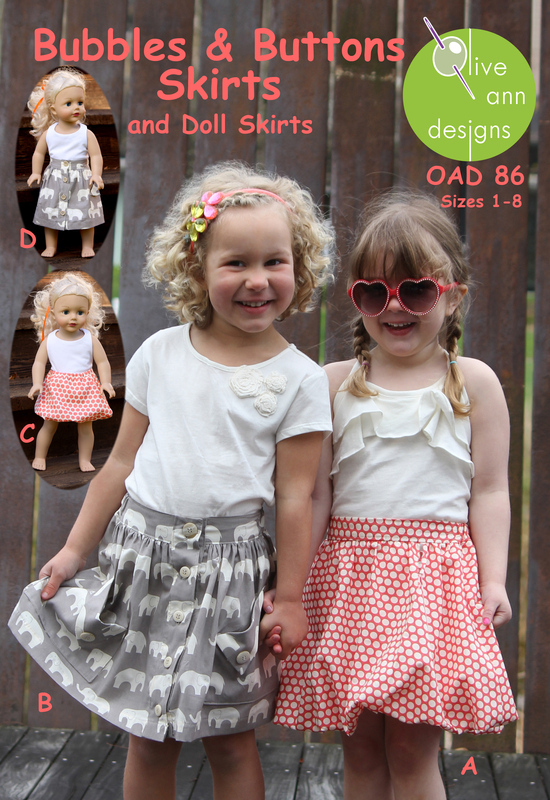 Coordinates with the Olive nan designs Me & Mama Adult pattern OAD75. Doll outfit fits most 18” dolls and the “Best Buds” Olive Ann doll. Available in tissue pattern with complete, detailed and easy to follow instructions.